Wellness Within provides some of the premier health and wellness services in Los Angeles. Whether you choose a colon hydrotherapy session with one of our caring, knowledgeable therapists, a relaxing interval in the Thermal Life™ Far Infrared Sauna, or a whole body vibration treatment on the TurboSonic®, you will feel a renewed sense of vitality and well-being. Californians, in general, and people from Los Angeles, in particular, have a reputation for health, fitness, and vitality, but we know that health is a choice and a responsibility. It’s a common saying that “if you don’t have your health, you don’t have anything,” so it’s important to invest in your health and well-being before everything else. At Wellness Within, we support this philosophy every day with services that treat the whole body, plus the knowledge and information that provide a foundation for healthy living. Wellness Within also carries a carefully-selected assortment of nutritional supplements and products to support a healthy body. There are so many nutritional products on the market that choosing the right supplements can be confusing and overwhelming. At Wellness Within, we know that true health, vitality, and well-being begin in the digestive tract, so we only offer the highest-quality, most effective supplements to support digestion and colon health. 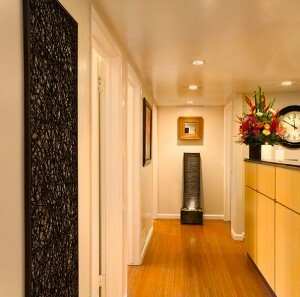 All of the products we carry are used and loved by our staff and clients throughout Los Angeles. If you live in the L.A. area or are just visiting, treat yourself to the gift of health and well-being by scheduling an appointment for one of our wellness services. Wellness Within is easily accessible from anywhere in Los Angeles, just off the 101 freeway in Woodland Hills. Our beautiful and serene facility is one of the top colon hydrotherapy centers in Los Angeles, so you can feel comfortable and confident with our therapists and with all of our products and services. Take a step toward a new level of vitality, health, and well-being at Wellness Within.